According to research conducted on behalf infrastructure giant Amey, 59% of road users acknowledge that they are not as safety-conscious as they should be when negotiating roadworks, while 74% admit to exceeding speed limits. The survey found drivers admitting to not giving their full concentration (24%), not maintaining a safe distance from other vehicles (19%) and not paying any attention to road workers (14%). However, the overall majority of those questioned (87%) also acknowledged that being a road worker in the UK is a dangerous occupation. James Haluch, managing director for highways at Amey, said: ‘It’s extremely concerning that so many drivers appear to be wilfully ignoring safety advice, and driving without due care through roadworks, especially when they acknowledge that working on our roads is a very dangerous job. George Lee, CEO at Highways Term Association (HTMA) said: ‘The research Amey has carried out highlights the problem of driver behaviour and their attitudes to road workers, that is increasing in its form and severity. 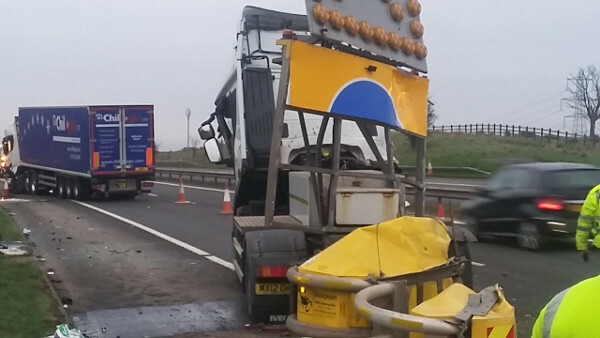 Highways services people are dealing with danger on a daily basis but to then have to contend with the public whom they are working to keep safe is hugely disconcerting. The research data shows that younger drivers are more likely to flout road safety laws; for example, 82% of 17 to 24-year olds admit to breaking speed limits in 50mph controlled zones, while a further 8% say they go over 65mph. Amey said its employees on roads up down the country and have experienced the impact of dangerous driving. Since 2017, over 210 incidents were reported, with nearly 5,500 cases of drivers accidentally entering roadworks.